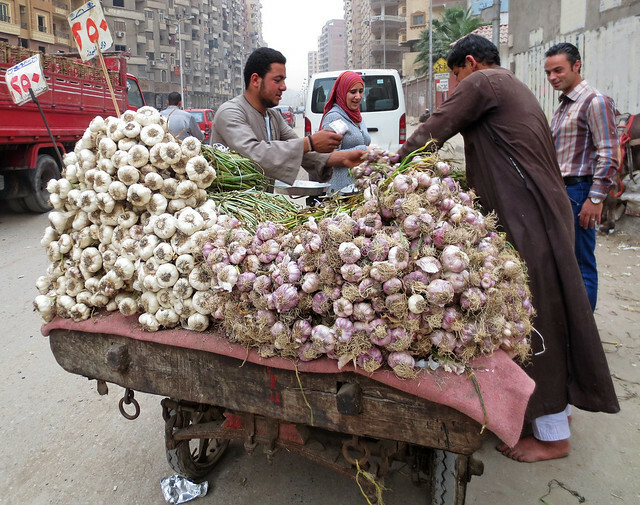 We've previously written that when the garlic comes to market we know it's time to leave Egypt for Minnesota. A friend told us that when it's garlic season his wife buys 20 kilos and preserves it. 20 kilos is 44 pounds. That does include the weight of the stems but it's still a lot of garlic. His wife, mother-in-law and two daughters gather in the house to peel and chop the garlic in preparation for freezing it to use throughout the entire year. He plans to be away from the house the entire day because that's how long the preparation takes. He said the entire house smells of garlic for a couple days. 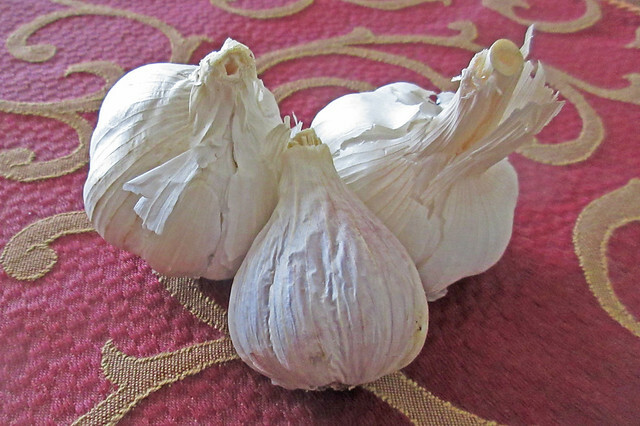 Another friend says that his family buys 50 kilos of garlic in season. That's 110 pounds! No wonder the dinners are always so good at that house. At this house they preserve the garlic in oil. When we expressed amazement at that amount he said that the price will go up to 30 EGP per kilo (about $1.76) from a low of 2 EGP ($.12). Who would want to pay that amount? Back at the apartment we asked our neighbor if she buys a large amount during the season. She said that she prefers fresh garlic so she does not stockpile it except for maybe one kilo that will hang on the balcony until used.